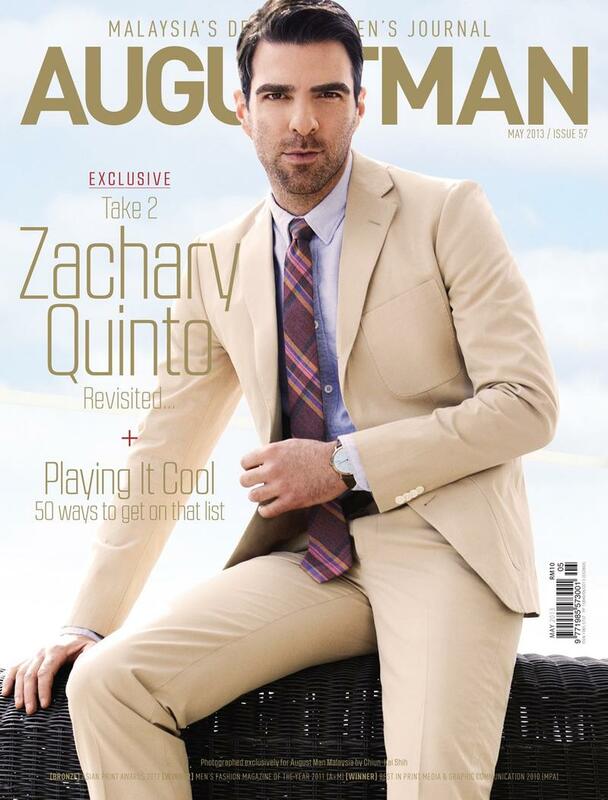 Zachary Quinto covers August Man Malaysia's May 2013 issue The Star Trek actor's fabulous editorial spread was shot by Chiun-Kai Shih. 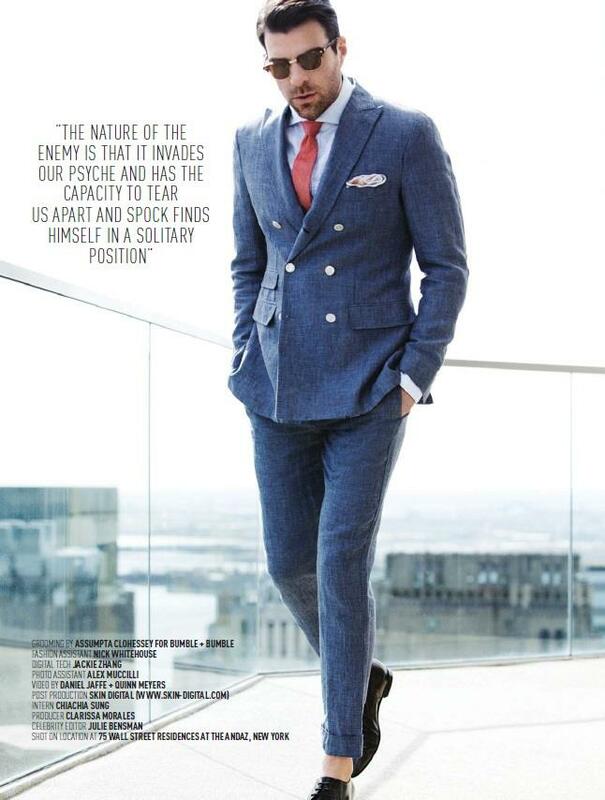 Here’s what the 35-year-old had to share with August Man. I am now in that place where I am responsible for myself. I am looking for things that are different, that are interesting, have diversity and a range of expressions. The only thing I want is for it to be good. Everyone has one. It is just a matter of how you keep in touch with that dark side and tap into it. Most people never really get in touch with it but it exists in everybody. Fortunately, my work has allowed me to keep that in balance. I have been able to play characters which have given me the opportunity to live deeper and darker. It has given me a safe environment to explore it. It is interesting because every season you have a different story. It is rewarding because it is so innovating in the way the stories are structured. It’s really exciting.